1. 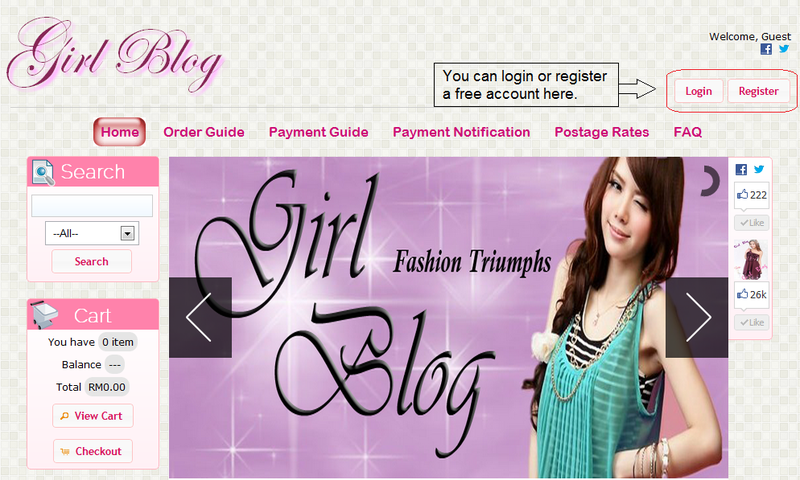 Login or register a an account for free. 2. You can search for different kind of products by typing a product's code. 3. Click on '+' to add your item into your shopping cart. Click on the image for more details. 4. 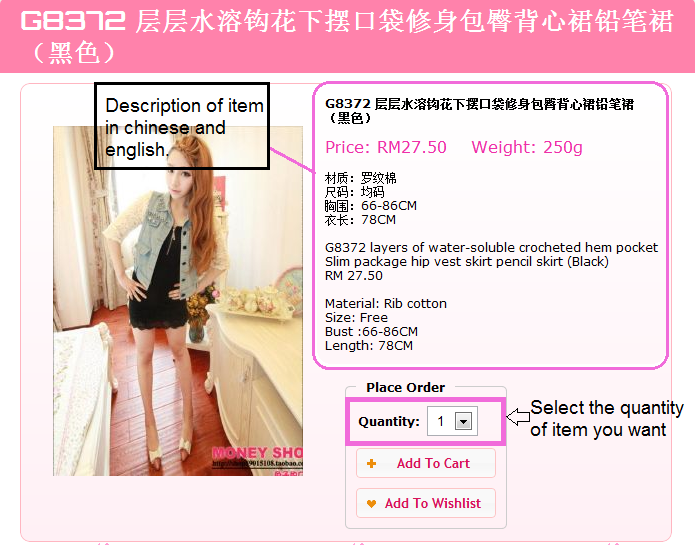 Details of a product in chinese and english. 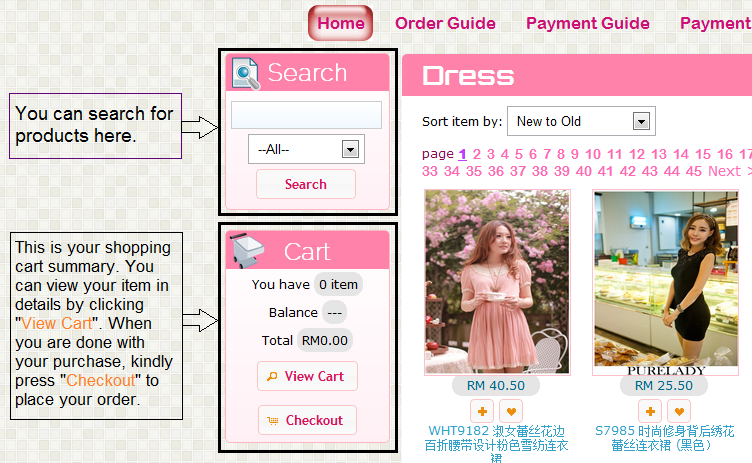 You can add item to your shopping cart after you have chosen the quantity you want. 5. 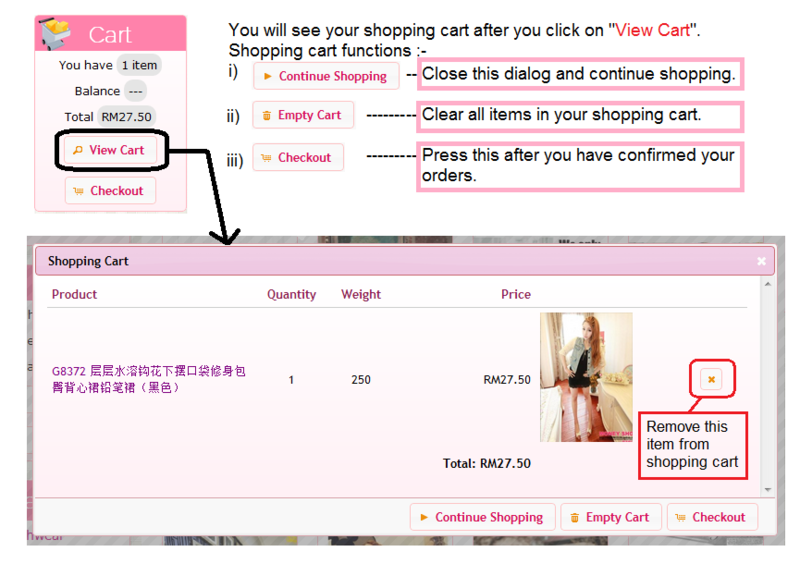 Click on 'View Cart' to view your shopping cart. 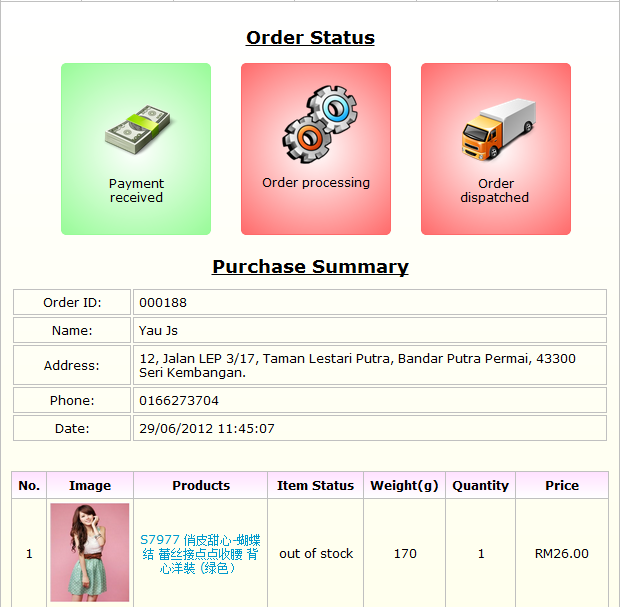 After you have confirmed with your purchase, kindly press 'Checkout' to proceed. 6. This is the checkout page. Choose your region (west or east Malaysia) for different postage rate and fill in all the details. Press 'Place Order' to proceed. 7. 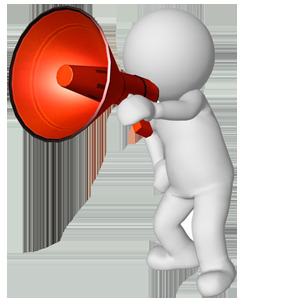 You will be redirected to 'Payment Notification' page. A dialog will pop out displaying your order number. 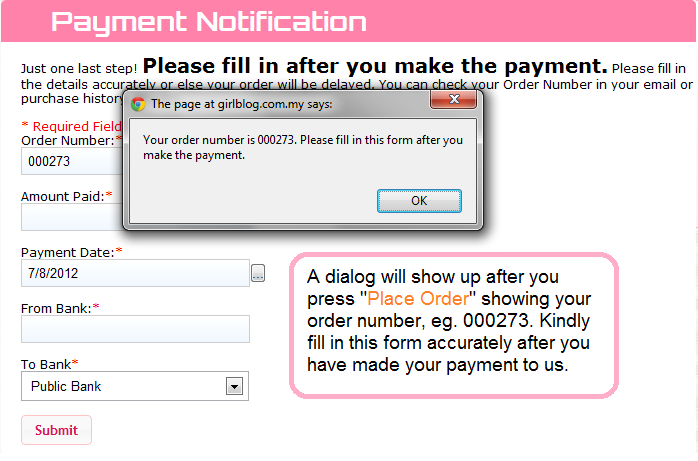 Please fill in the payment notification form after you have made your payment. 8. You can check your purchase history by clicking 'Purchase History' at the top menu. 9. 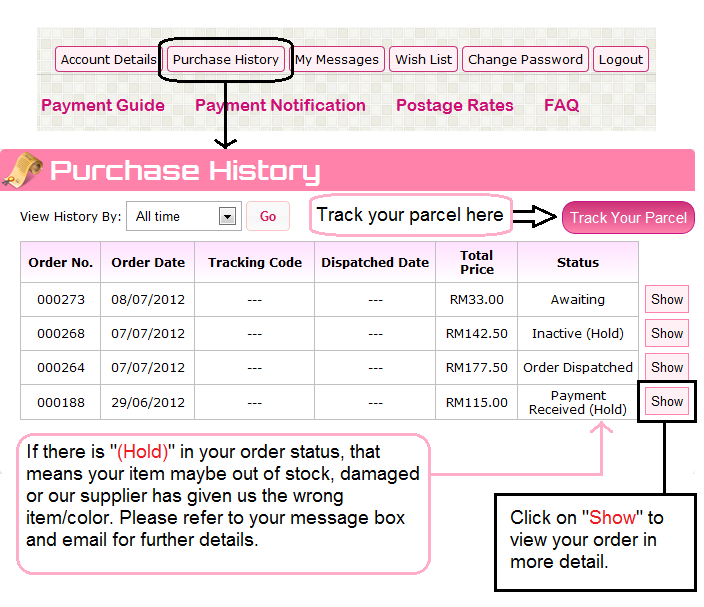 You can view your order in details after clicking 'Show' on the right side. In the 'Order Status' section, GREEN color means we have processed your order until that stage, while RED color means we have not process yet.